We still have so many blog posts to add about our lead up camping forays before we head off, but time seems to be galloping now!! 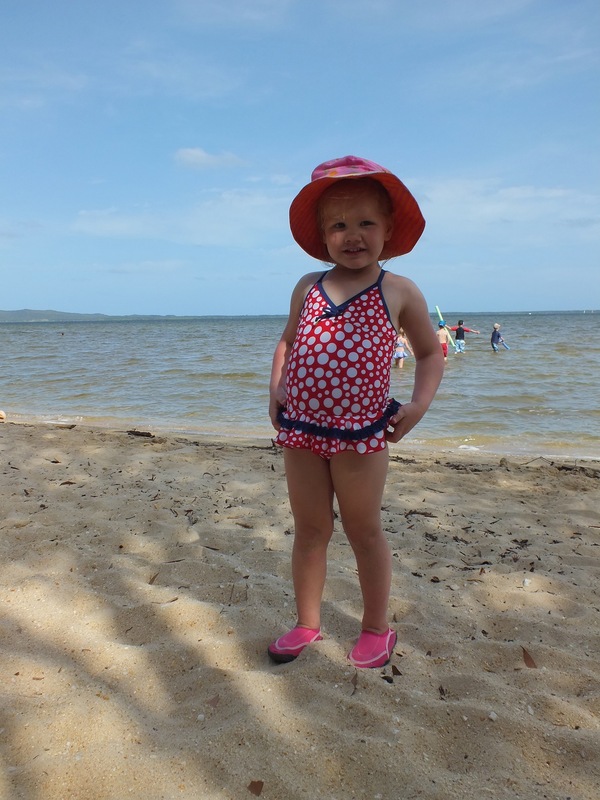 We really should have been blogging as we were doing these things like we planned, but hopefully better late than never! 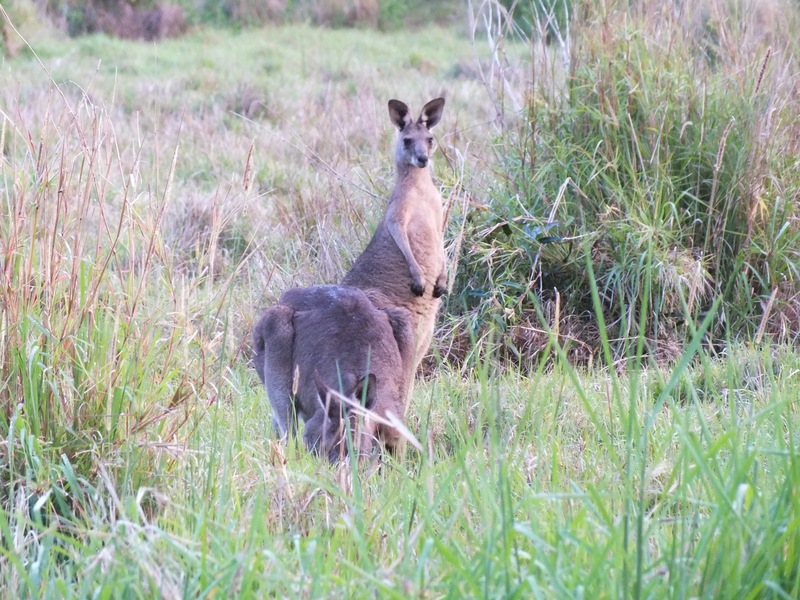 Our third trip away with Karen Camper and Peter Prado was in November last year to Elanda Point which is a one and a half hour drive north of Brisbane. 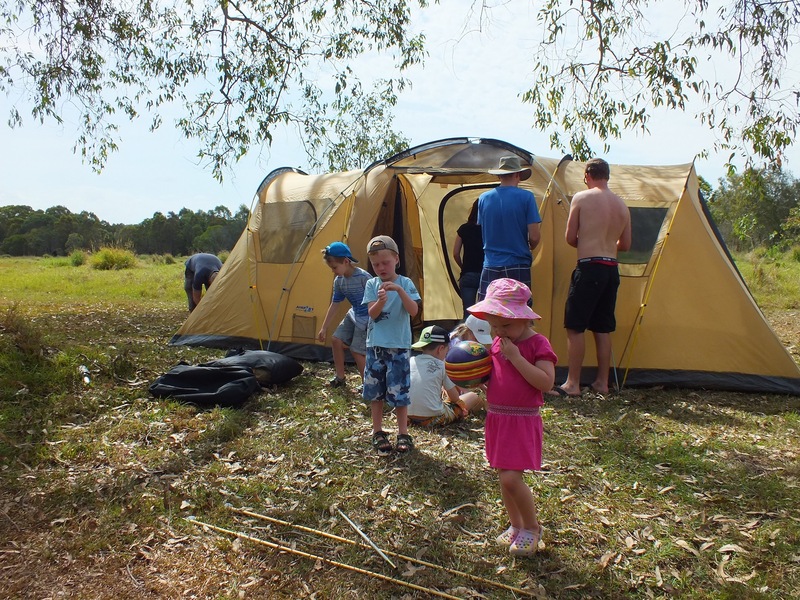 We camped at the Elanda Point Education Centre and Adventure Park which had great facilities but unfortunately no campfires allowed – bummer! 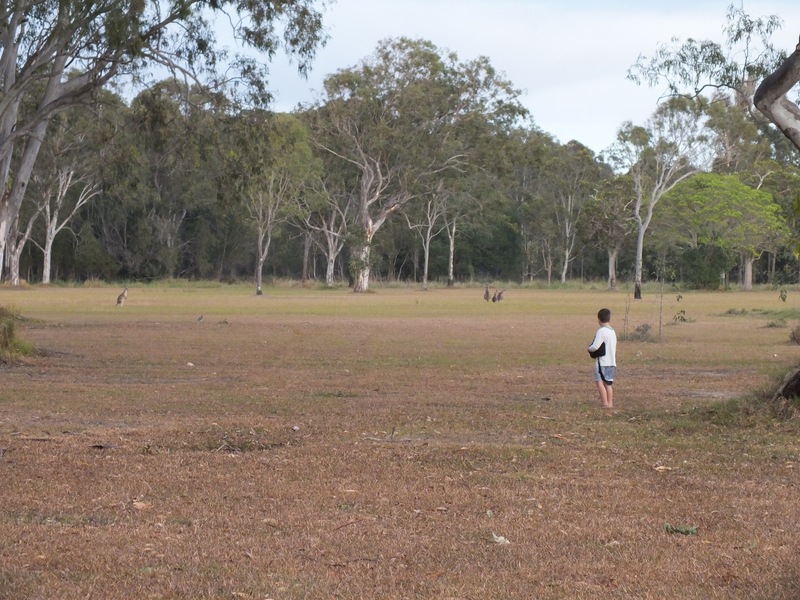 The campground is set right on the edge of Lake Cootharaba. When we arrived it was very windy so despite the fact that I desperately wanted to camp right on the water, we opted for a quiet spot at the back of the campground after several campers who had been there the night before showed us the damage that had been done to their annexes and awnings – we couldn’t risk having that sort of damage to our camper. 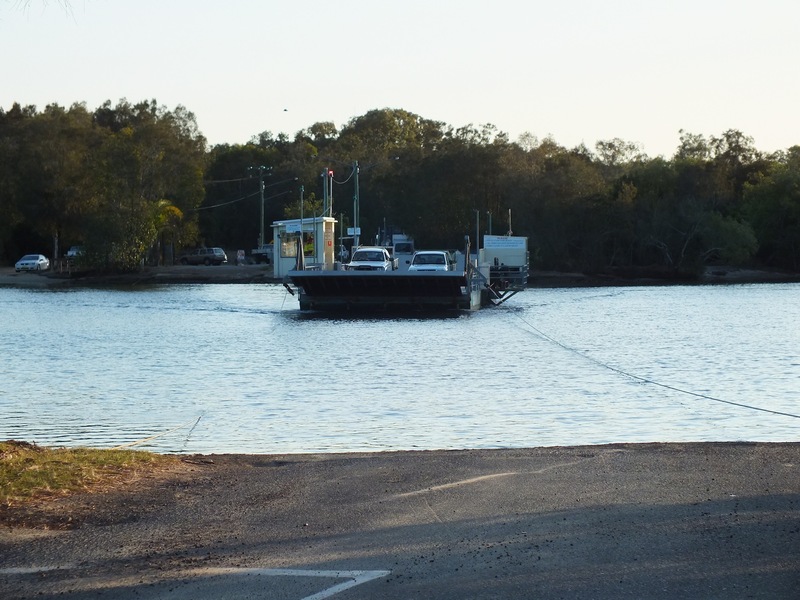 Apparently it is very common to have severe winds down on the water at Elanda Point. We had Matt’s brothers and Amy join us on this trip, along with the Fealy cousies. 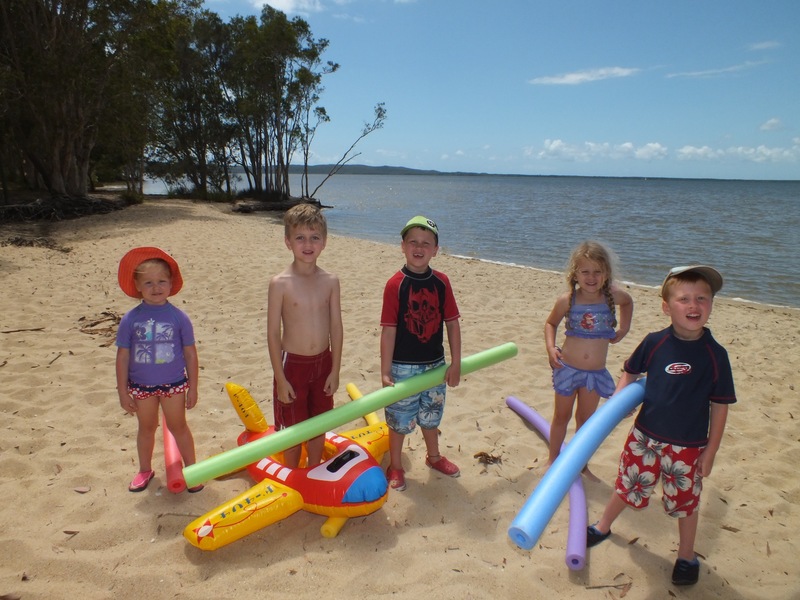 Elanda Point is great for young kids as the water in Lake Cootharaba is very shallow – basically knee deep for hundreds of metres out and very warm. 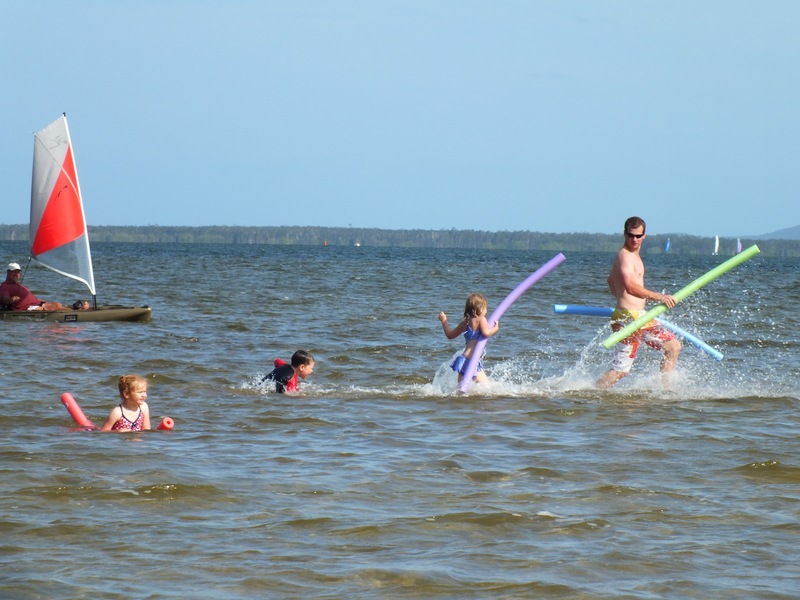 Our kids had a ball playing in the water – especially on the Monday when we pretty much had the whole place to ourselves! Helping to set up Uncle Ben and Amy’s new tent. We camped here for three nights and could have easily stayed longer. 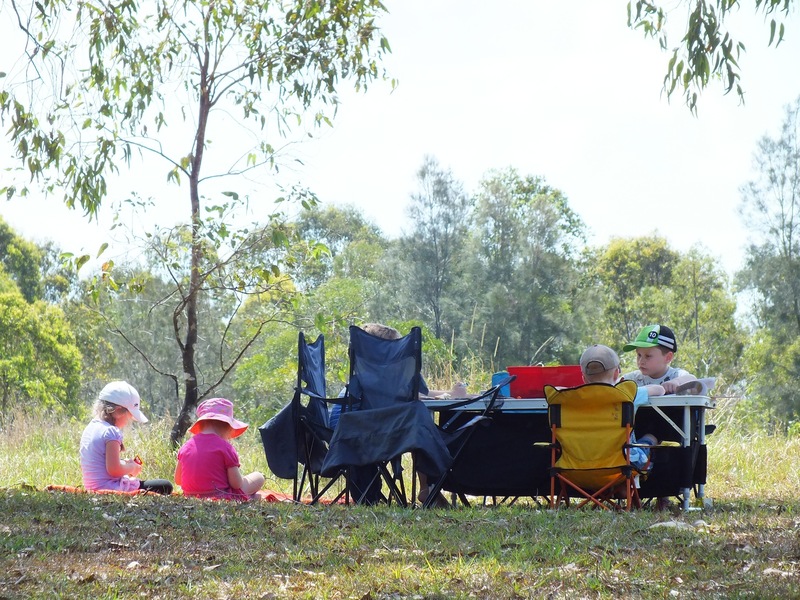 There was heaps of room for the kids to run around and lots of lovely shady spots. 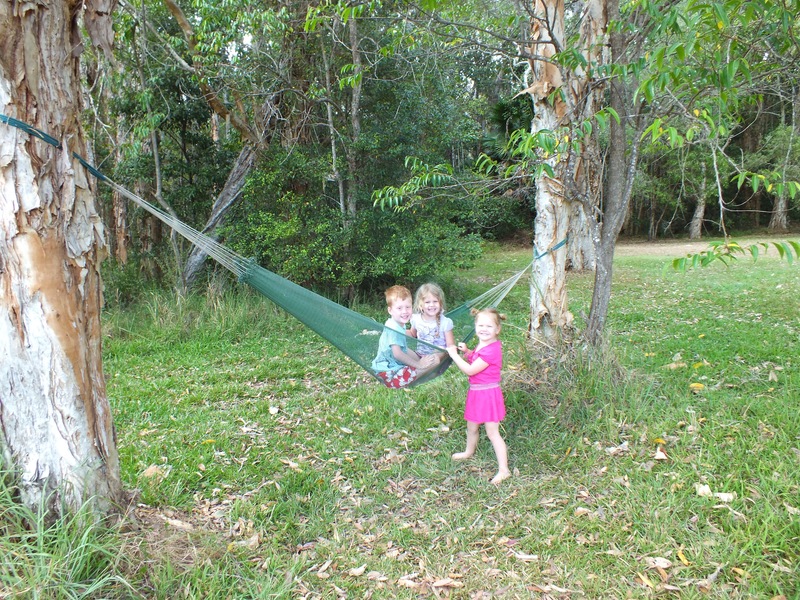 Took the hammock this time but I think the kids were the only ones who got to use it! 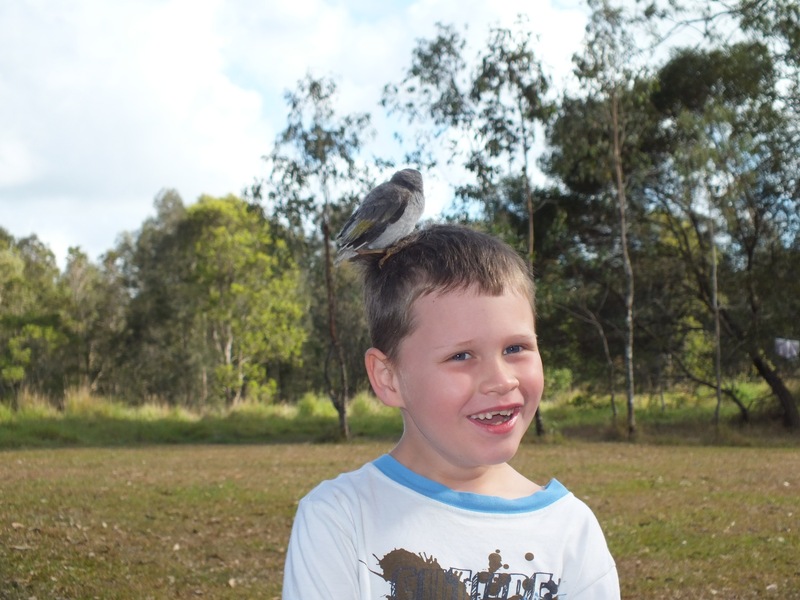 Jacko spent the whole weekend rescuing baby birds that kept falling out of their nest in the tree – and trying to bring them home! 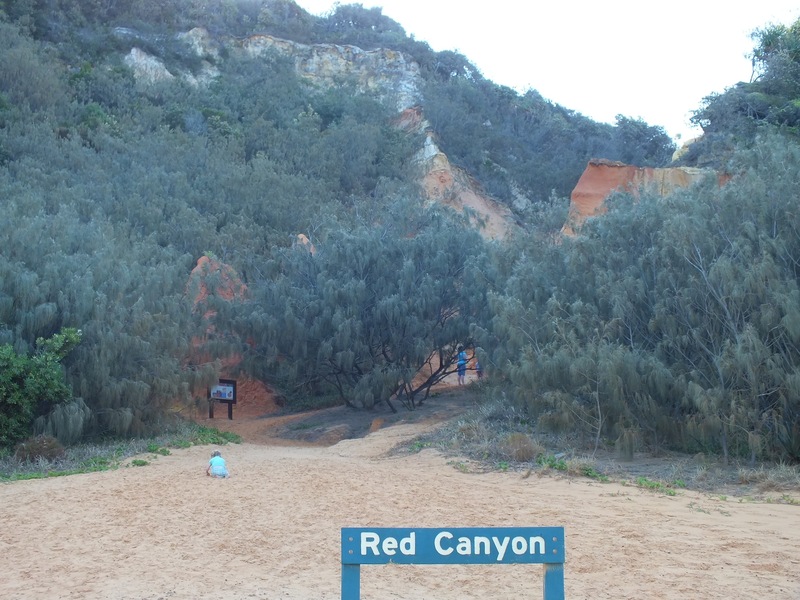 There are a few great walking tracks that you can tackle from Elanda Point. 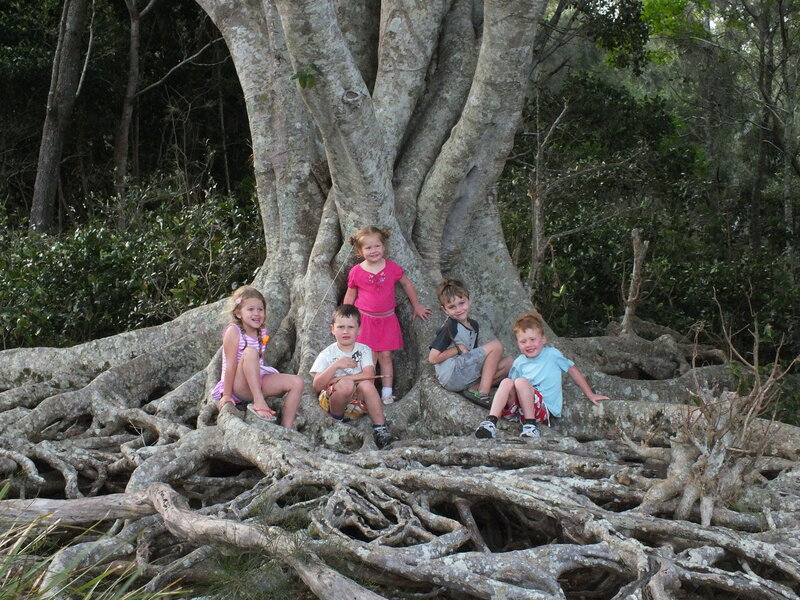 As our kids are still quite little – we choose a walk that left from the campground and which was just a short 3km return walk to Mill Point, the place where a timber mill township flourished from 1862 to 1892. 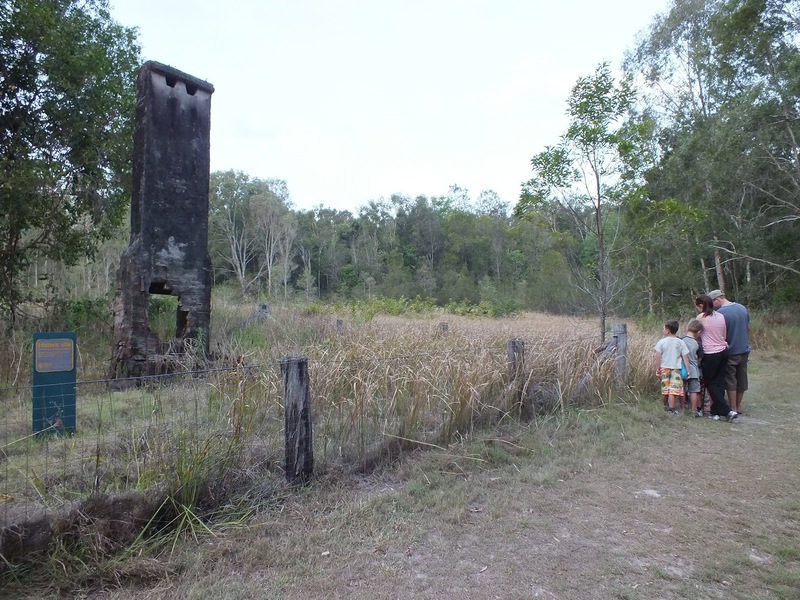 It was a really easy and scenic walk with quite a few interesting spots to stop and see along the way – a fun way to give the kids a bit of a history lesson! 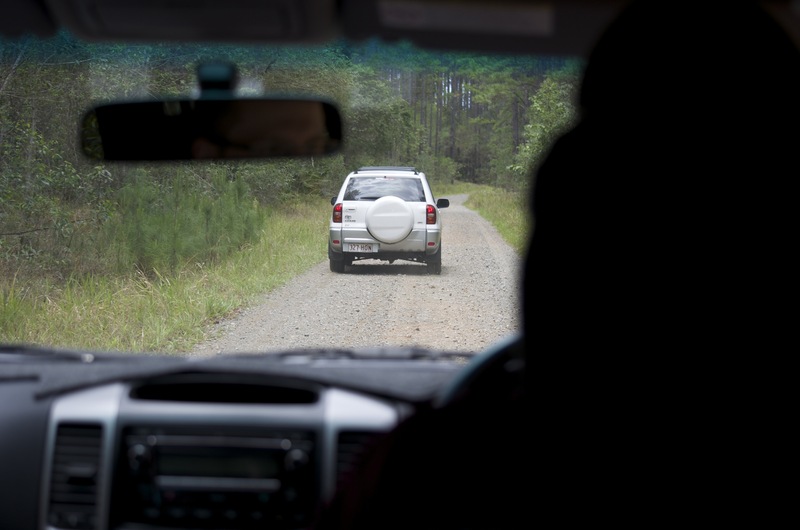 We used Elanda Point as our base to try out the first of our 4wd tours from the ‘Dirty Weekends’ book. It was a bit of a disaster! We blew a fuel line on Peter Prado at about 20kms into the drive so spent the rest of the day worrying about how much diesel we were losing! Then we got a bit lost and couldn’t pick up the track that the Dirty Weekend’s book was directing us to (a first lesson for us that we are not going to just be able to rely on our iPhones/Ipads for help when lost as we had no reception!!!) 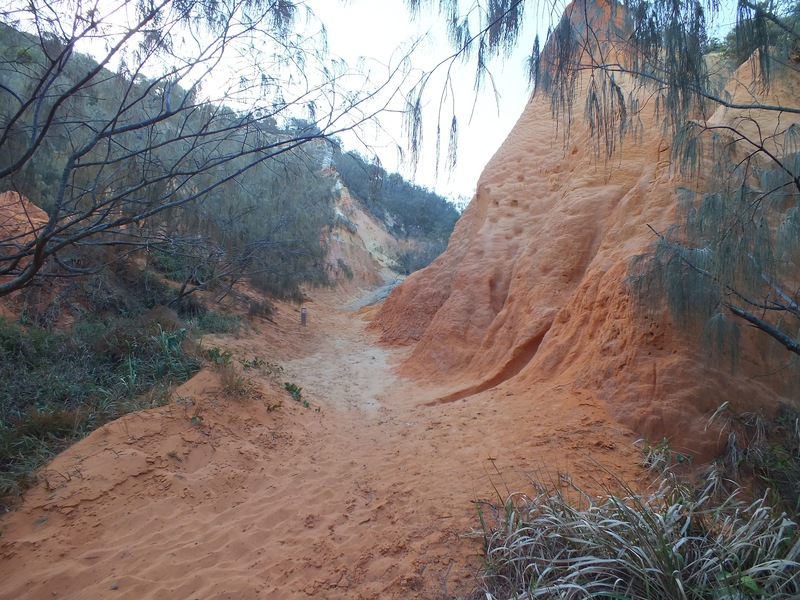 so we ended up driving all the way to Rainbow Beach along a forestry track, which was not the scenic 4wding experience we were hoping for! 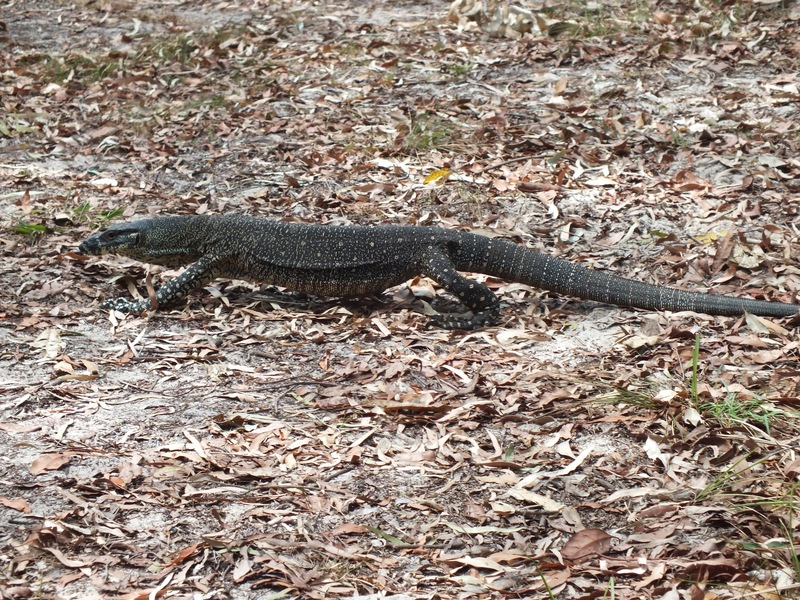 We would definitely like to go back and do a bit more exploring of the Cooloola National Park! Despite the frayed tempers, frustration and disappointment, we still managed to have a pretty good day and see some beautiful spots! 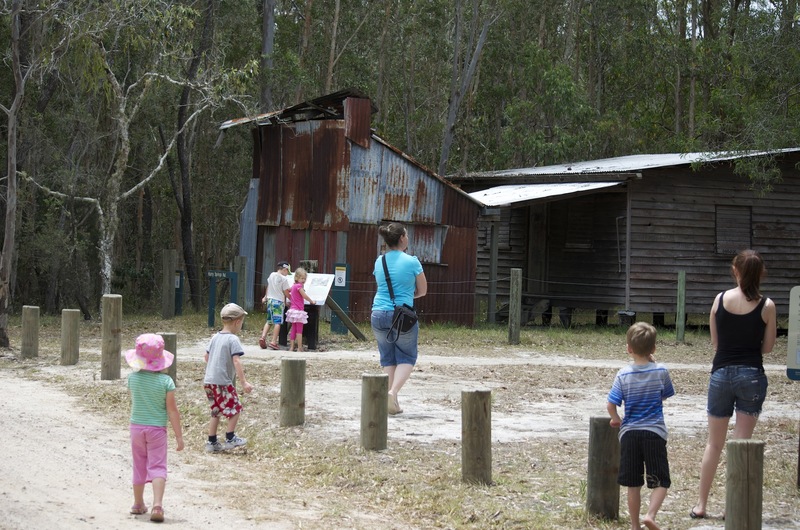 We found the first stop on the 4wd tour ok – Harry’s Hut. It all went down hill from there! 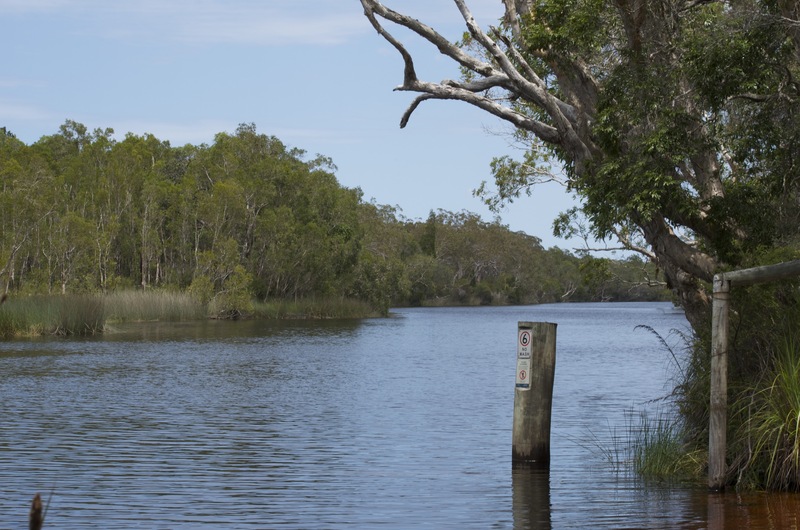 Noosa Everglades at Harry’s Hut – beautiful – would love to go back with Kayaks. 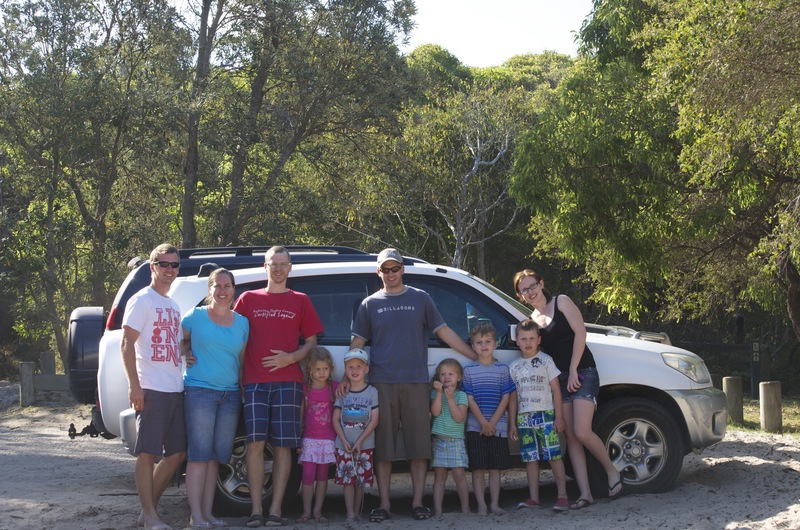 Group photo (credits to James) at Freshwater Campground – Rainbow Beach, where we stopped for a very late lunch! 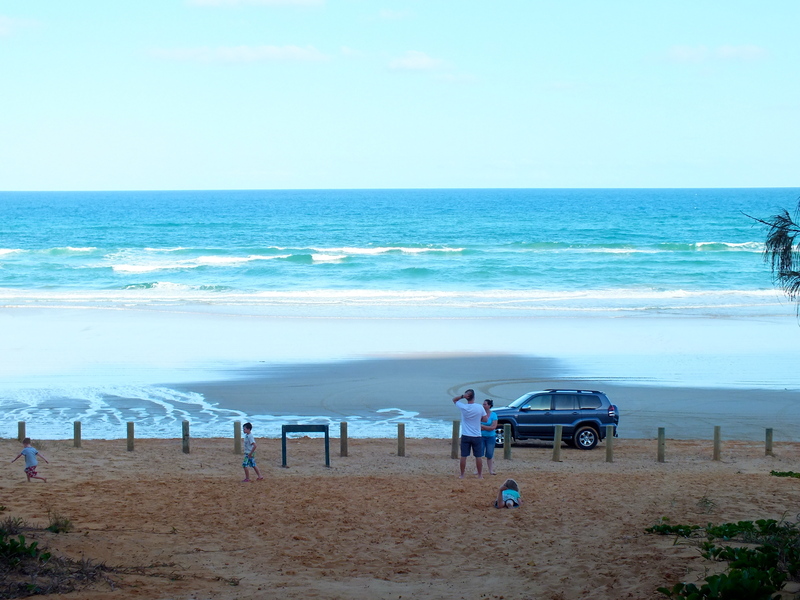 A bit of beach driving back from Rainbow Beach to Noosa North Shore – it was a spectacular afternoon! 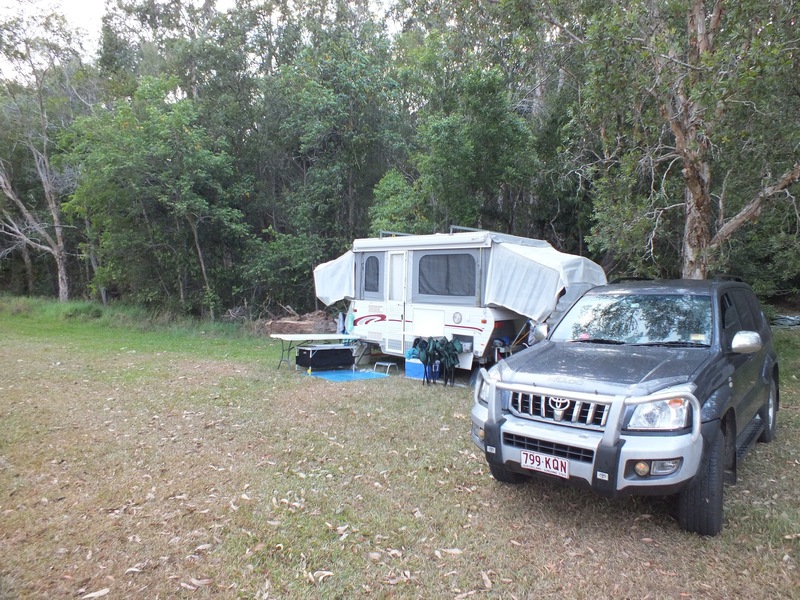 We drove past the beach camping at Teewah Beach – it looks great, definitely something we would still love to do! Zip tying the fuel hose back up with the assistance of a very helpful man at the Noosa North Shore car wash.
A pretty good weekend away but we did blow our first tyre on the camper on the highway on the way home, which was a bit of a downer way to end the weekend, but all a learning experience for us! 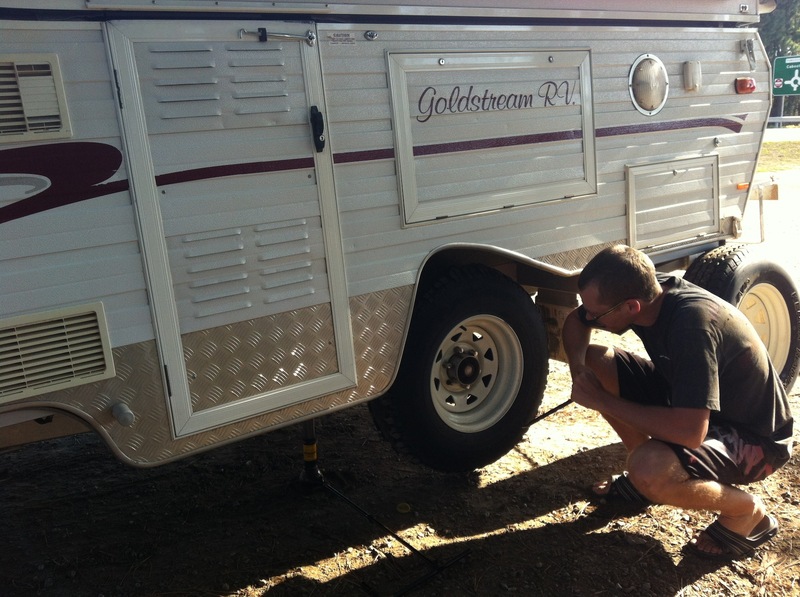 We blew our first tyre on the camper coming home – this is where we discovered we had no tools – not even a tyre iron that fit! Definitely a wake up call and thankful for our RACQ membership!